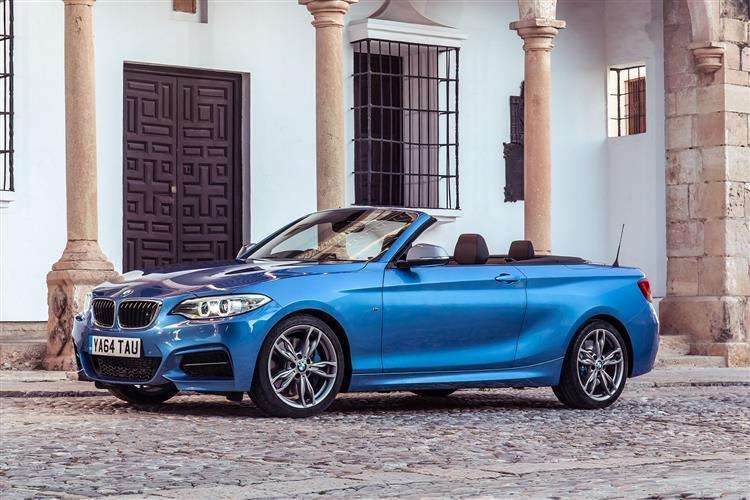 BMW has a strong track record when it comes to desirable drop tops and the latest 2 Series Convertible looks set to keep that streak going. With an economical diesel and punchy petrol powerplants that are also strong on efficiency, this Convertible looks good and poses a challenge its rivals will find very hard to level with. The engines available in the Convertible are a direct carry over from the coupe range and this, as anyone who's ever driven the two-door tin top will tell you, is a very good thing. Proceedings open with the 184PS petrol powerplant used in the 220i variant. This version will record 7.5 seconds for the sprint to 62mph and hit 144mph. Drive is directed to the back wheels and you get to choose between a six-speed manual gearbox or the quite brilliant eight-speed ZF automatic transmission. Diesel options include the 150bhp 218d, the 190bhp 220d and the 224bhp 225d. The 220d diesel offers a good combination of virtues, delivering a tall stack of torque, with 400Nm available from just 1,750rpm. The mid-ranger is the 2.0-litre 228i, which packs a 245bhp wallop that'll see it get to 62mph in six seconds flat with the auto box before running onto an electronically limited 155mph. If you're of the belief that a BMW sounds best with six cylinders, you'll probably gravitate to the M235i Convertible. With 326bhp, this one has some senior performance credentials. If you specify it with the eight speed automatic transmission, it'll get to 62mph in a mere 5.2 seconds. Press the Sport button and the steering weight up and the throttle response sharpen. Press the button once more and you'll find Sport+, which partially disengages the stability control and offers an even spikier throttle pedal. The old 1 Series Convertible was an odd thing. Convertibles are all about looking cool, but the drop top One, if specified in the wrong colour, looked like a bit of a bathtub. Fortunately its successor is a good deal slinkier. The dimensions tell much of the story. 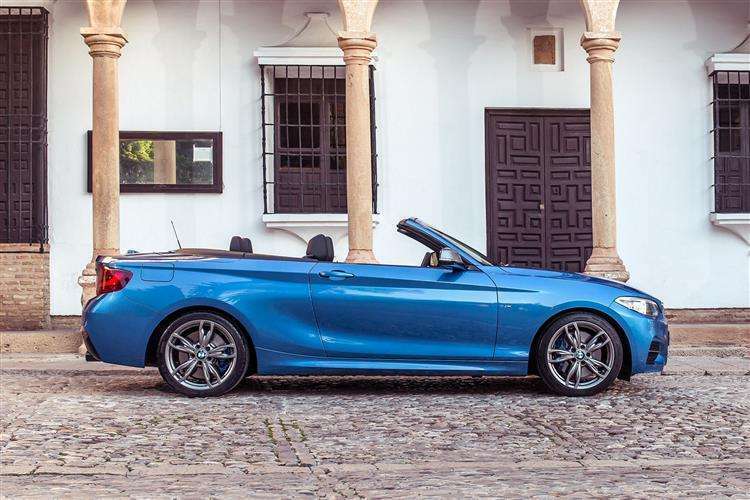 The 2 Series Convertible is longer (by 72mm) and wider (by 26mm) and has a wheelbase which has been elongated by 30mm. The electrically operated folding soft top lowers or raises in just 20 seconds at the touch of a button and can be carried out at speeds of just over 30mph. Once folded, the soft top disappears fully into the boot and luggage capacity is rated at a fairly generous 335-litres, making it the largest boot in its class. A through-loading system is optionally available to increase versatility. The front end features a broader kidney grille and more aggressive air intakes. Moving back, you'll find swept up side skirts, some deeply-surfaced flanks and tight overhangs. 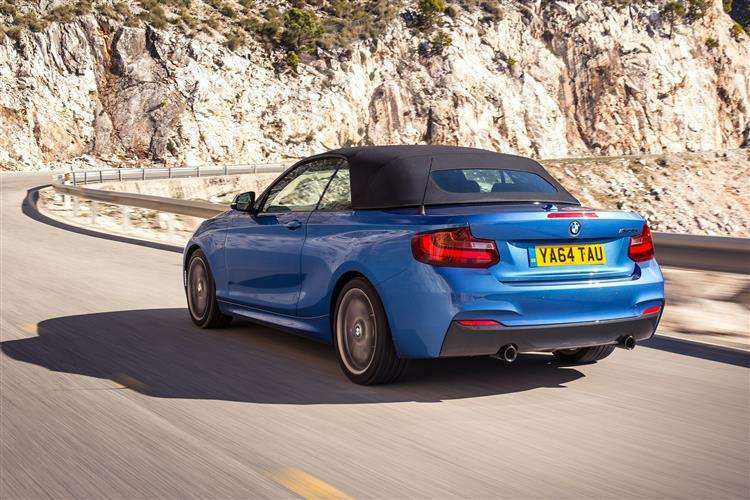 The rear-wheel drive bias of this car is emphasised by the fact that the widest part of the design is the rear wheel arch area: the track widths of the 2 Series Convertible are larger than those of its predecessor by 41mm at the front and 43mm at the rear. Inside, it's much as you'd expect, with improved build quality, with more substantial plastics used throughout. 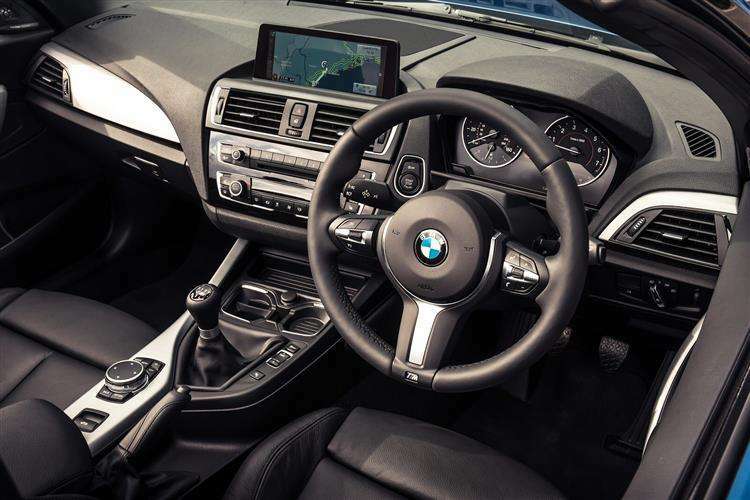 BMW's much-improved iDrive system features and now features a higher definition 6.5 inch flat screen. Prices start at around £29,000 for the 220i, with the 220d variant pitching it at around £30,000. The competition in this sector has become a bit hotter of late, with Audi launching its vastly improved A3 Convertible. 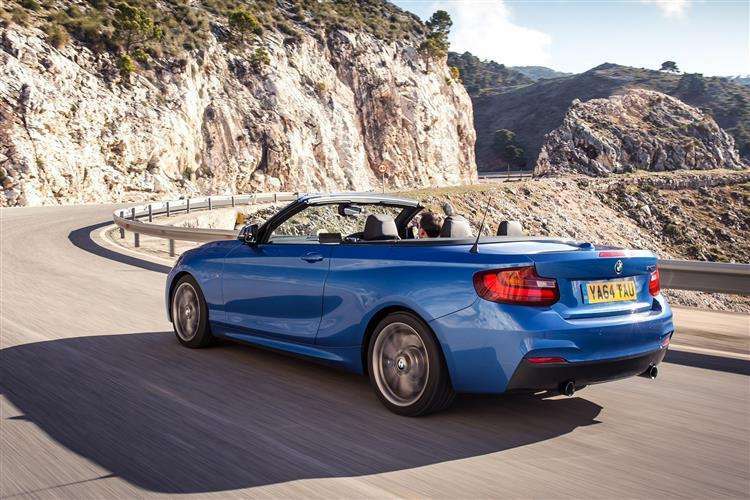 The BMW is cut from slightly different cloth, offering more of an enthusiast focus but is this really quite such a factor in the drop top market? Buyers here are probably less interested in the details of the suspension and 0-62 times and more in the stying, the hood operation and the effectiveness of the air con and stereo. Suddenly BMW's clear advantage is eroded more than just a tad. The 220d and 220i models are available in Sport, Luxury and M Sport trim, while the 228i is offered in M Sport only and the M235i has its own unique specification. SE models are also offered. Standard specification on all models is comprehensive and includes alloy wheels, automatic air conditioning, Drive Performance Control, Keyless go, a Sport instrument cluster, dual dark chrome exhaust tailpipes for 220i and 220d Sport models, Sports seats and a Sport multi-function leather steering wheel. The top M235i gets 18-inch double-spoke alloy wheels, Ferric Grey air blades and mirror caps, dual-zone air conditioning, Dakota leather upholstery, Extended Lighting and Storage, M Sport suspension and braking, an M rear spoiler and M logos on the wings. It's hard to argue with BMW's efficiency measures, with the 220i recording 41.5mpg on the combined cycle and 159g/km emissions. Opt for the eight-speed automatic and those figures improve to 44.1mpg and 149g/km. Go for the 220d diesel and you'll see 60.1mpg and 124g/km with the manual transmission and an amazing 64.2mpg and 116g/km for the auto box. Those are quite some numbers from a vehicle that can still justifiably wear a performance coupe tag. 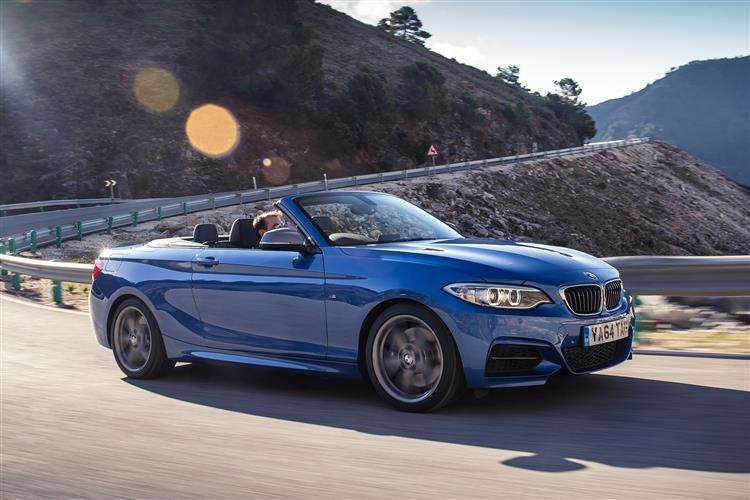 The M235i Convertible also records some impressive efficiency data. It'll squeeze 33.2 miles from a gallon and will emit just 199g/km, those numbers morphing to 35.8mpg and 184g/km if you choose the ZF auto. EfficientDynamics, BMW's suite of energy-saving features, is responsible for making those vaguely implausible looking figures. The 2 Series is fitted as standard with an Auto Start-Stop function available on both manual and automatic transmissions. 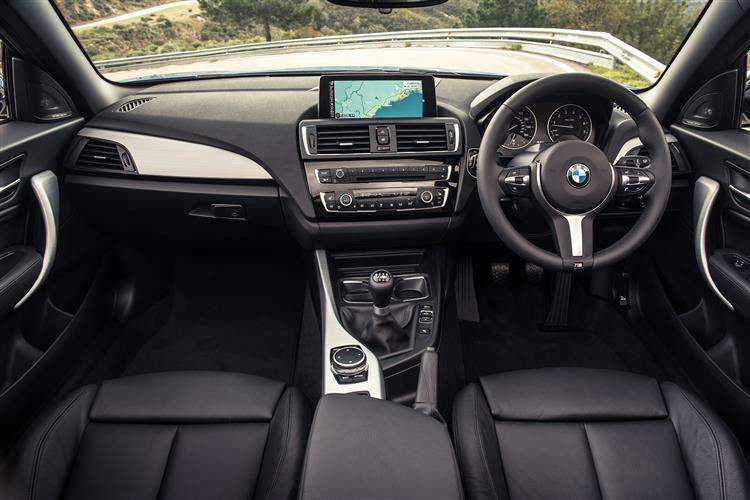 An ECO PRO mode, activated using the Drive Performance Control, is a new feature on BMW's that adjusts various on-board systems to maximise efficiency. When in ECO PRO mode the throttle response is adjusted to encourage a more economical driving style. The extra economy created in ECO PRO mode is fed back to the driver, with the in-car displays showing the additional number of miles achieved. BMW couldn't really have delivered much more when briefed with turning 2 Series Coupe into a Convertible. Clearly there's only so much sleekness you can build into a four-seater drop-top that's only a few millimetres longer than a Ford Focus and the stylists have down a good job giving the car a coupe-like silhouette with the roof up. Roof-down, BMW's designers have given the car a clean deck and flanks that hold enough shape to prevent car looking dull and blocky. Compared to its predecessor, weight has decreased while torsional stiffness has been improved by 20 per cent, pointing to better handling and ride. The engine selection draws no complaints from us and the pricing looks to be fair. The class benchmark from day one? That looks as if it may well be the case.